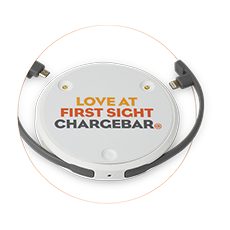 Chargebar’s involvement in Australia’s retail industry is growing every day. Shopping centre phone charging facilities are used more than any other. 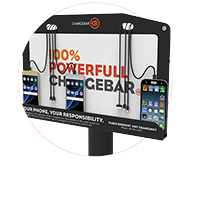 Chargebar’s Riley and Chargesafe are the perfect solutions for a shopping centre food court, information desk, or entrance. Despite the convenience of online shopping, consumers still value the physical, brick-and-mortar store experience. Rather than pitting the in-store experience against the online shopping experience, retailers will see far greater success in giving customers the best of both these worlds, allowing them to complement each other, through adopting and using new technologies. The one key technology centred around this approach to retailing is the smartphone. Customers now have the internet in their pocket, meaning they can compare prices, compare product ranges, and check availability all whilst shopping, reaping the benefits of online shopping, in-store. New technology brings the in-store experience closer and closer to the online experience, with mobile apps, mobile-friendly websites, email offers, and more. Take foot traffic into account, you’ll need more cables in busier areas. 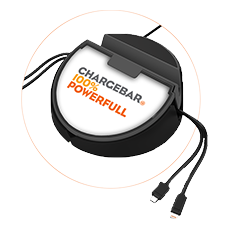 Chargebar’s new Kevlar cables will make sure your station will withstand usage no matter what. Would you need a managed solution, like the Cleveland, the Walker, or the Devonshire? 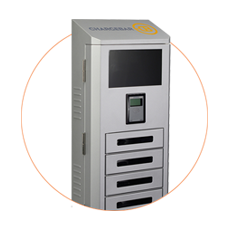 Or an unmanaged, self-service solution, like the Riley or the Chargesafe? How large is the centre? 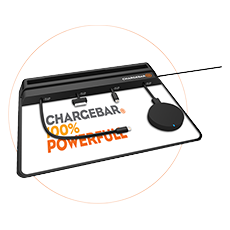 Areas with a Chargebar are generally busy, and made even more busy with the presence of a charging station. It’s usually a great idea to spread out units across a centre (like you would with ATMs), to make sure charging services are accessible anywhere.